There are many automotive related TV shows but there is one which comes to mind immediately ‘Top gear’, which is a BBC production and running since 1977 and one the most widely watched TV Shows around the globe. The program is currently presented by Jeremy Clarkson, Richard Hammond and James May with over 350 million viewer each week spanning over 170 countries around the globe, Top Gear is now in its 22nd season. The show is not only about car reviews but also show epic road trips and history about different areas. 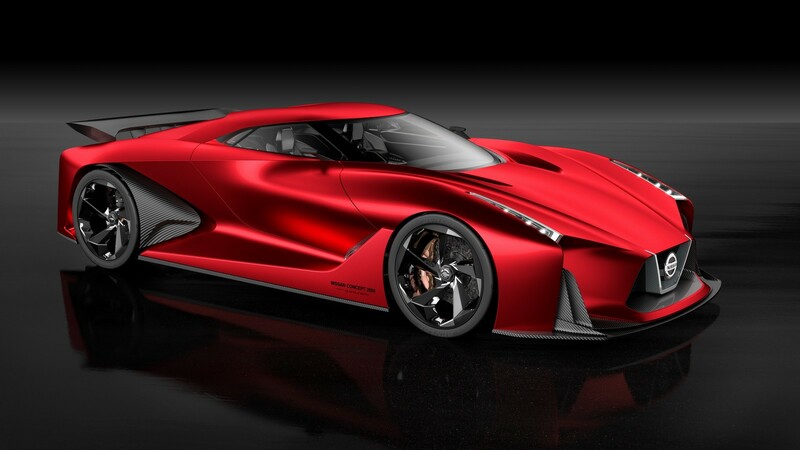 The show is full of technical insight about automobiles as well as humor and sometime controversies. 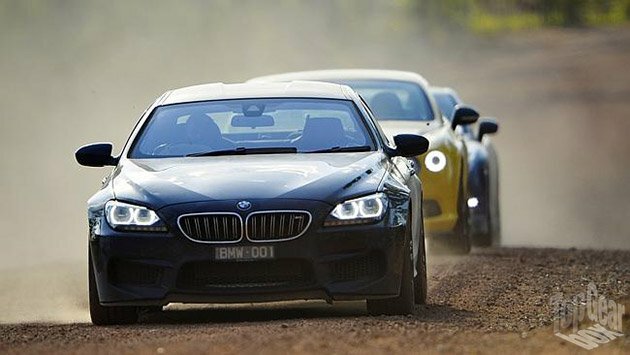 The latest episode # 2 which aired last week, the three presenters drove 3 different mean, fast and powerful cars though the desert in Australia. Jeremy chose a BMW M6 Gran Coupe and Richard went for a Bentley Continental V8S while James is driving a Nissan GT-R. I will not destroy the excitement for it and will not share what they did in the episode (if in case you haven’t seen it by now) but it looks like all the cars were ruined badly. They were in fact off roading these vehicles, driving through rough terrains with drifting on lose gravel, a lot of dust and mud in and out. 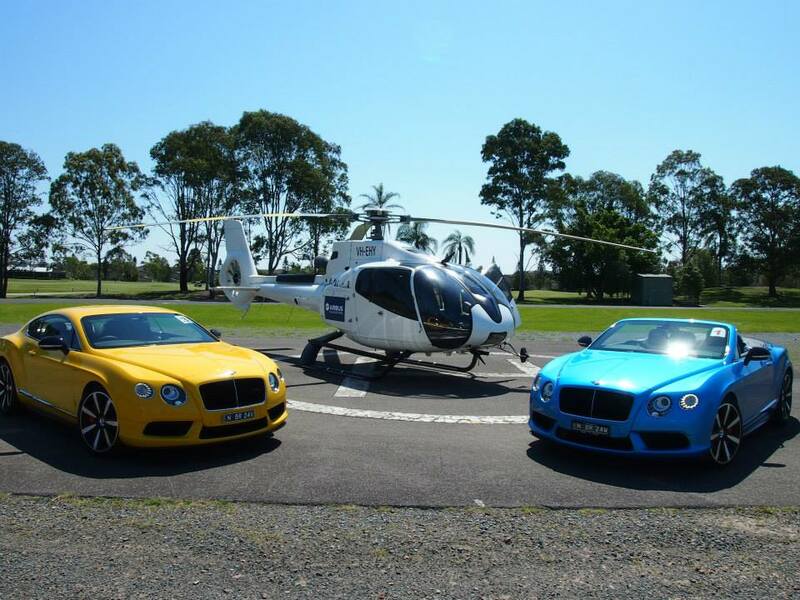 The three cars are worth easily about a half a million dollars and the prices are even higher in Australia. 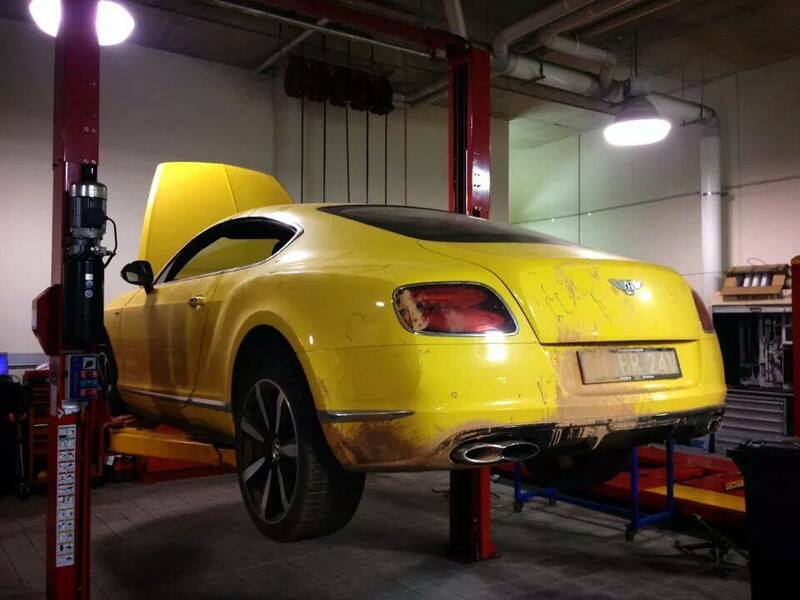 Now some pictures of the same yellow Bentley Continental surfaced on internet. 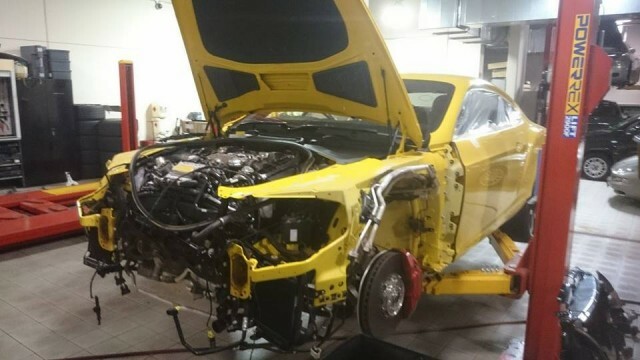 The car is sitting at a workshop for repairs with severe under body damage as well as damage to the exterior paint. Also, the front end is all opened, which means something happened to the the big 4.0L V8. 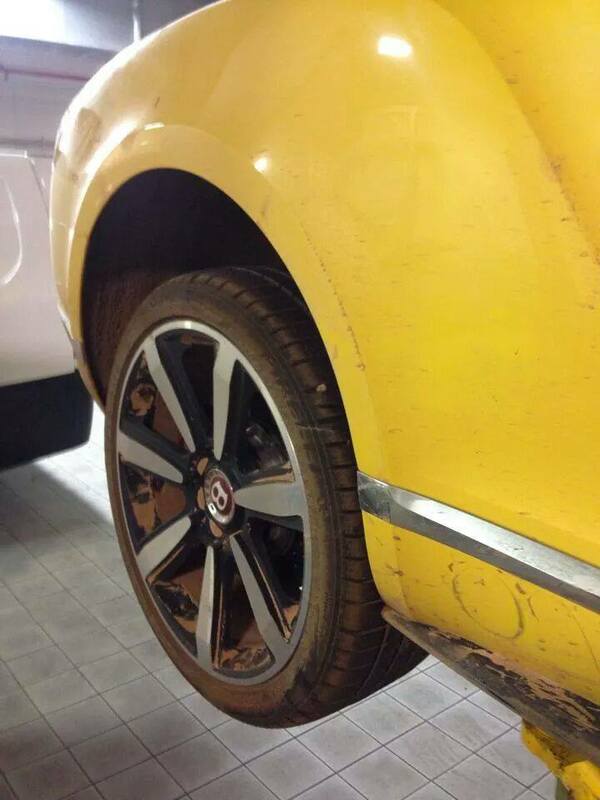 According to different automotive forums, the damage on the Bentley was so severe that it’s lost 50% of its original value and had to be totally resprayed. 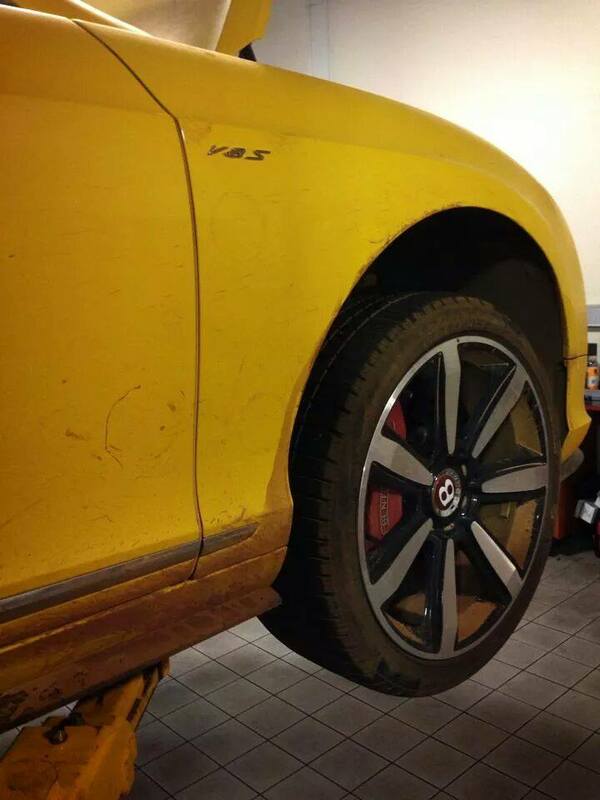 The Bentley was in the best condition among all three cars driven on the show. 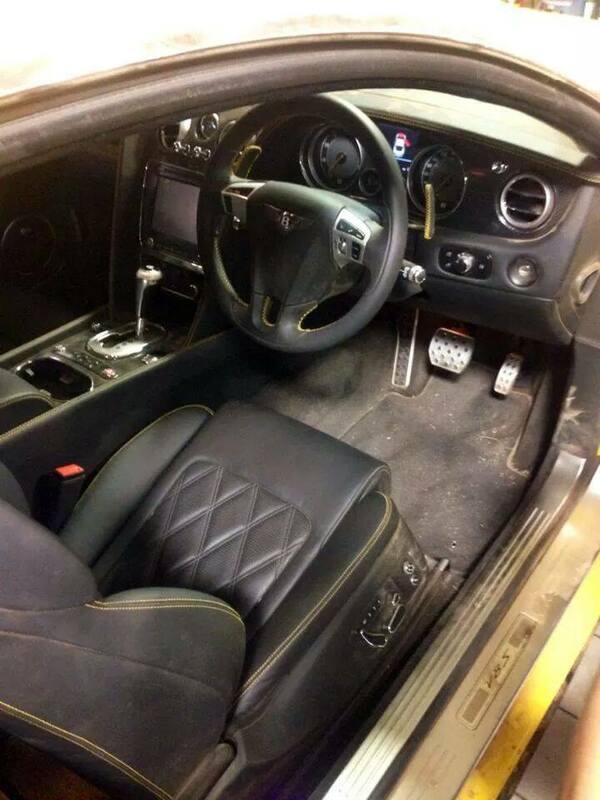 The Bentley belongs to a company named Euromarque Brisbane, who also sells Maserati as well as Alfa Romeos. The same car was used in the launch event by the company to give potential buyers a driving experience of the new V8S. I am sure an actual owner of any of the three will never take their cars on a road trip like the one in the Episode#2 of Top Gear. Danish? :O and btw yeah, noticed the different plates. Of course they were different cars. One set was in Australia and the other mere display cars in their UK studio. Top gear regularly breaks cars ( it’s common to get through 2 or 3 reasonably priced cars in a show) and would you prefer the show to handle these cars carefully and make the show just another boaring review show? 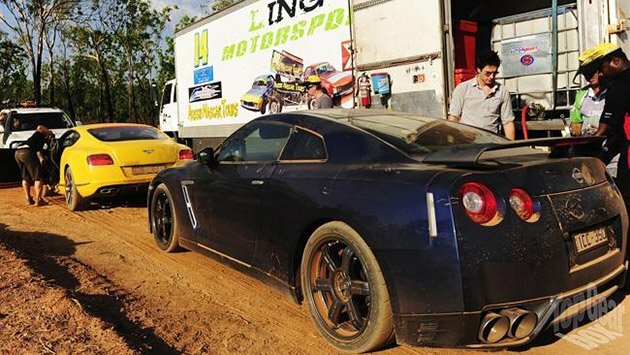 The whole fun of top gear is that their doing stuff that you wouldn’t imagine doing with your car.